So the first visit to this area in town, brought us to the famous Ring Road restaurant, famed for its fish head noodles. Dissatisfied that we had yet to try the neighbouring coffee shop that was packed with tables of people sucking the life out of fish heads, I told Cumi I really wanted to revisit the area. Seriously, the memory of a fish head this pretty has been haunting me since the last walk by, and I was adamant I’d slay the slithery, watery ghost this very weekend. Oh, yes little fish.. you will be mine! And I am always surprised folks refer to it as the fish head because it most evidently comes with a sizable portion of body as well – you see here, there’s clearly 2 -3 inches of the body closest to the head/gills served, don’t you? So It’s just a section of a big fish really, that includes the head, if you ask me! But it isn’t even just all fish at New Times Place restaurant. There’s a heap of other interesting things to order too. 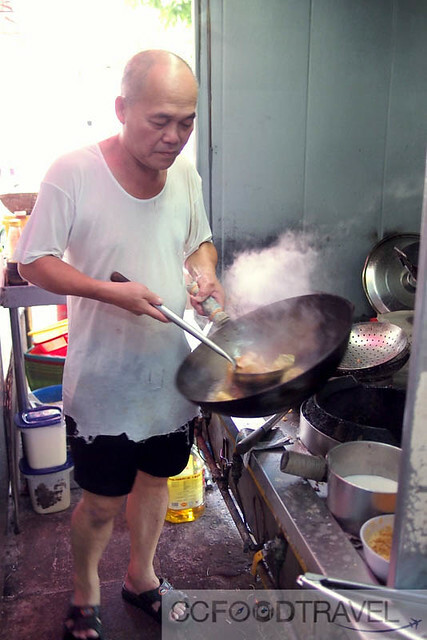 A nice active kitchen and an equally active Mr. Tan, churns out dai-chow dishes faster than a dynamo on electromagnetic overdrive. They call him “sifu” and he is so cool that he times his dishes so well, he gets a bit of a sit down with his friends as he waits for the fish to get fried just right. What a cool dude. Mr. Tan’s son helps pick the condiments (chup song) and preps most of the dishes for Mr Tan senior. It’s all clockwork and routine around here. 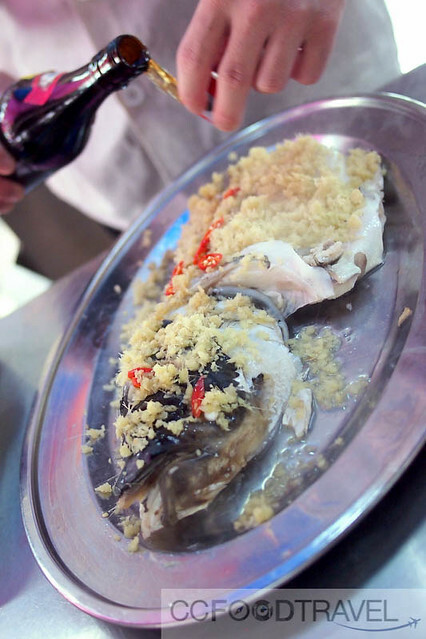 Fei Zhou Yue or Tilapia – around RM25 for this beauty being prepped for the Nyonya deep-fried style Fish. 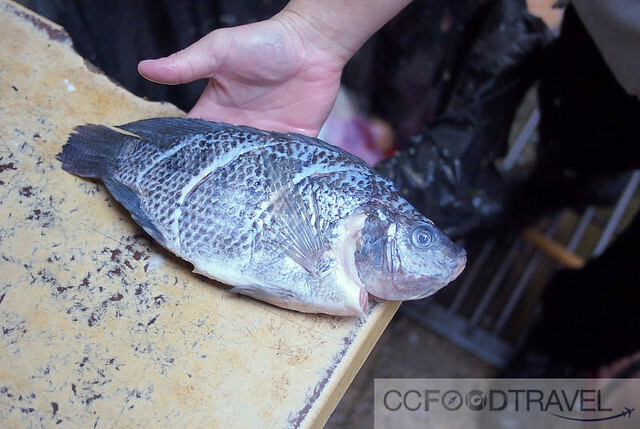 Tilapia, mainly freshwater fish inhabiting shallow streams, ponds, rivers and lakes and less commonly found living in brackish water can have a slightly muddy smell, so deep-frying is best. Well I like it that way, anyway. And swimming in a ton of sauce. And then there’s that matter of a charsiew wantan mee stall that’s located in this restaurant..
Charsiew Wantan Mee is a must order here. 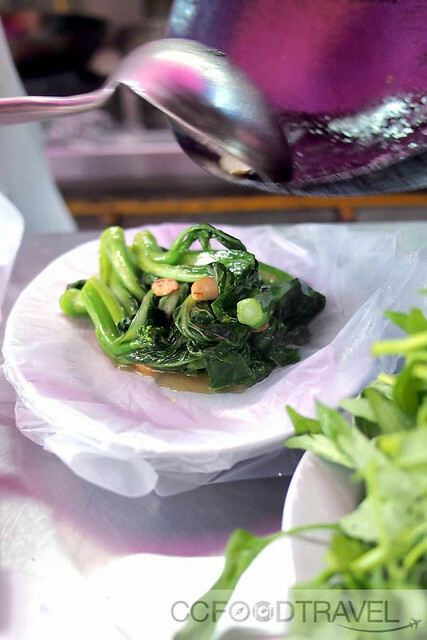 It’s got that old-school, greasy braised feel about it that harkens to a bygone era of great cantonese coffee shop noodles. I miss my grandparents when I eat this sort of food. 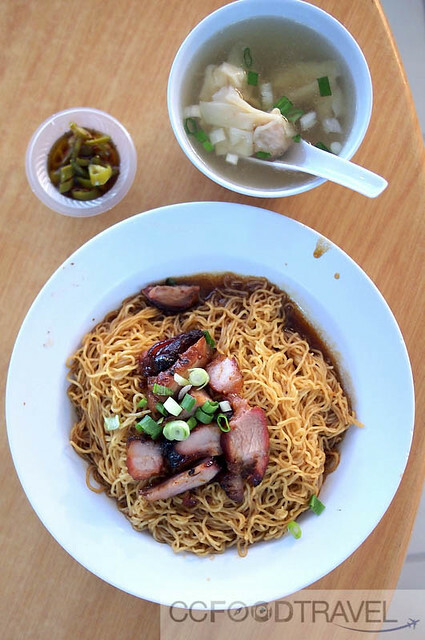 Springy, yet totally absorbent and plump with charsiew sauce and laced in lard, the wantan noodles are rave worthy. The charsiew meat also deserves an oscar award of its own. It possesses a nice balance in savouriness, sweetness and smokiness and caramlized sticky outer layer. The meat is dense and tender. They all play a part in making this one of the more outstanding Charsiew Wantan Noodle’s in KL. He churns out a mean Ying Yong. 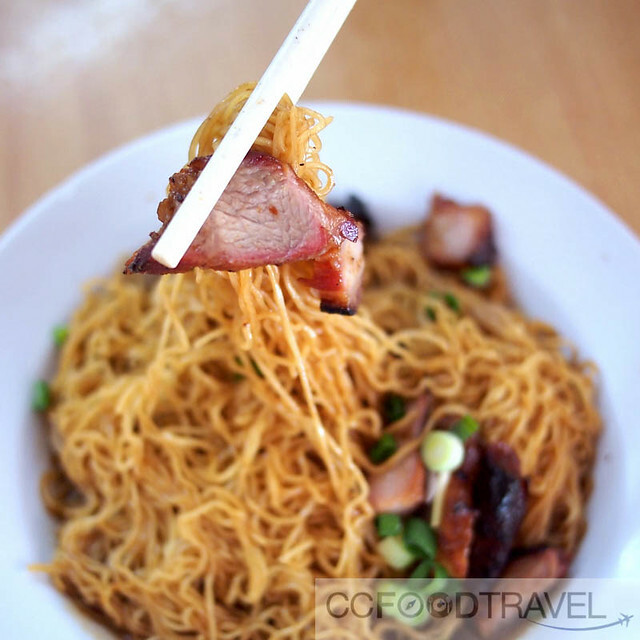 Folks who follow this blog know that we love our Cantonese style fried noodles. They also know we’ve eaten enough to know what’s great and what’s rubbish. This one is pretty good. 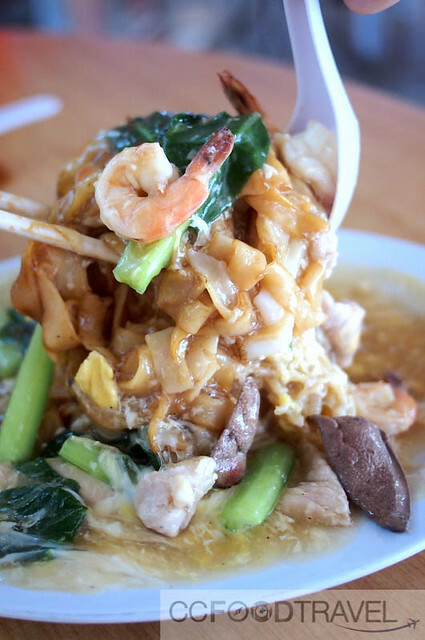 Ranks way up there with the Kelana Jaya noodles, that we will share in our next post. Chunks of liver that Cumi will not touch, but which I like, add a bloody dimension to this Ying Yong that’s sickly addictive. Leaves you wanting more with each hit. 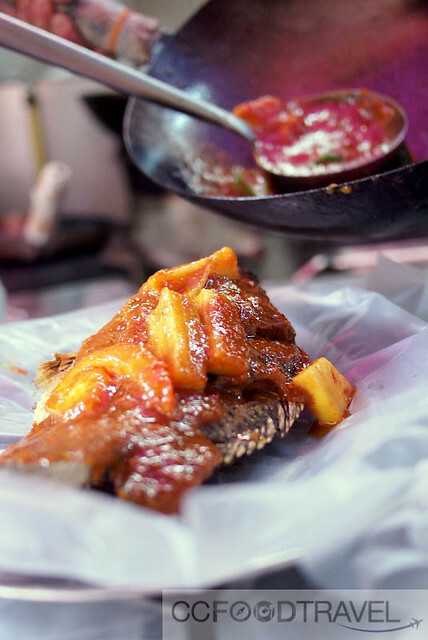 Tilapia Nyonya yau cham (deep-fried in oil) – great one to go with white rice. Like I said, tons of sweet sour sauce that just makes you shovel rice. Great while you’re enjoying it.. but not so great for the waist after. A rather handsome Song Yue Tau (song fish head), baptism in Chau Sing Chew (Chinese rice wine), and about to get served. What a way to go – this fish didn’t die in vain. It definitely made many people happy this weekend. So, definitely worth a visit in our books. Bring a crowd, because we see the communal fun in sucking the life out of a fish head all together. The more the merrier. off Loke Yew Road, Kuala Lumpur. 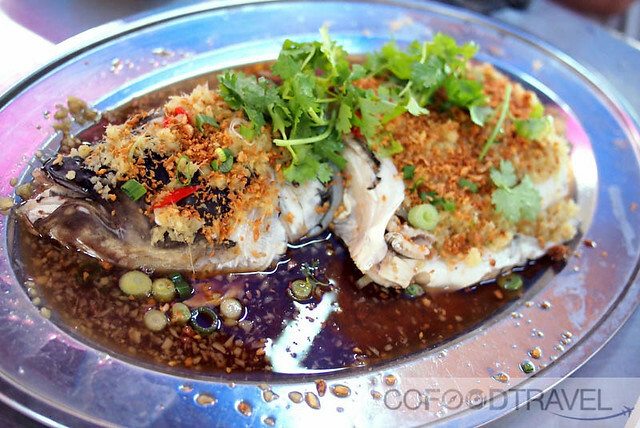 I love steamed song fish head and ying yong noodles! What time does this tai chow place open? All day? 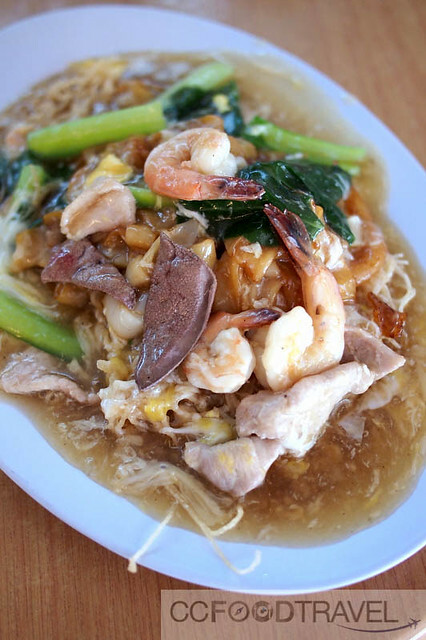 Was ok with the fish…and greens…and the wanton mee…until I came to that ying yong kway teow. 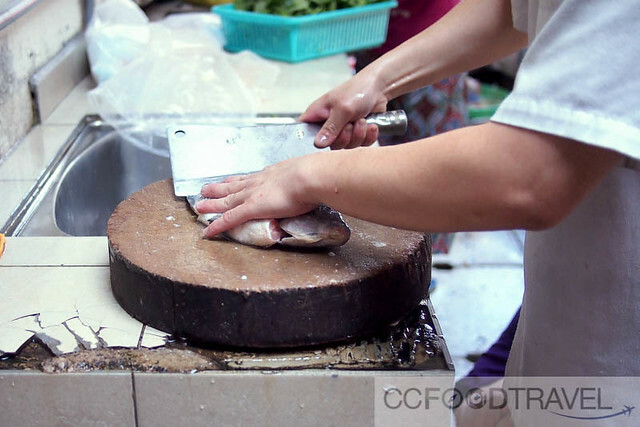 Ooooo…that sure looks so good – plus there’s liver…and prawns too! Yum! Yum!!! haha good! Let’s go again soon together! Is this a stand alone shop or also kopitiam?